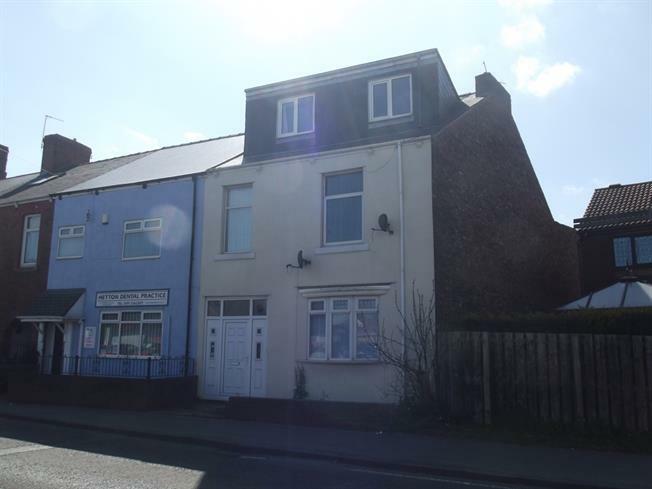 For Sale in Houghton Le Spring for Offers Over £95,000. Fantastic opportunity to purchase this extensive six bedroom end of terrace property which is over three floors. The property has fantastic potential and a lot of modernisation has already taken place with the kitchen, bathroom one and wiring. The property could also be converted into three flats ( subject to planning ). With spacious rooms and good size rear yard with off road parking then this property really can made into something special. Double glazed door. Double glazed window facing the front. Ceiling light. Double glazed window facing the rear overlooking the yard. Double radiator, built-in storage cupboard and boiler, ceiling light. Low level WC, panelled bath with mixer tap, pedestal sink with mixer tap. Wooden back , opening onto the yard. Double radiator, dado rail, ceiling light. Double glazed window facing the front. Double radiator, ceiling light. Double glazed window facing the rear overlooking the yard. Double radiator, carpeted flooring, ceiling light. Double glazed window facing the rear overlooking the yard. Double radiator, built-in storage cupboard, ceiling light. Roll top work surface, fitted and wall and base units, one and a half bowl sink, integrated electric oven, integrated electric hob, stainless steel extractor. Double glazed door, opening onto the yard. Ceiling light. Space for washing machine. Double glazed window facing the front. Double radiator, original coving, ceiling light. Double glazed window facing the rear overlooking the yard. Double radiator, carpeted flooring, built-in storage cupboard, original coving, ceiling light. Double glazed window facing the rear overlooking the yard. Double radiator, vinyl flooring, part tiled walls, ceiling light. Low level WC, panelled bath with mixer tap, pedestal sink with mixer tap. Double glazed window facing the front. Radiator, ceiling light. Double glazed dormer style window facing the front. Radiator, carpeted flooring, ceiling light. Double glazed dormer style window facing the rear overlooking the yard. Radiator, carpeted flooring, ceiling light.